Me: "Why do you want to go to preschool, sweetheart?" Wilson: "Because my teachers at church ask if I do." Me: "And what do you say?" Wilson: "I say no, but I want to say yes." Well, this totally threw me for a loop. Honestly, I hadn't given preschool much thought. As a stay at home mom and "retired" child development specialist, I had always made a special effort to provide a range of social opportunities through play dates and special outings to fun places in our community. We were even learning the alphabet one letter a week - complete with corresponding snacks, art projects, books and field trips. But, it was clear Wilson was feeling left out. It wouldn't hurt to just look, right? So, I booked lots and lots of preschool tours, starting with those closest to home and/or recommended by friends. Hunting down the perfect school for my little guy became a part-time job, and I did not take it lightly. Heck, I had separation anxiety on the rare occasion that we left him with grandparents for a couple of hours. Trusting total strangers with my flesh and blood was going way out of my comfort zone. Right off the bat, I could rule out most schools due to one of three factors: high student-teacher ratios, poor classroom behavior management (read: utter chaos) and daycares masquerading as preschools. Together, Wilson and I toured everything from Montessori to parent participation. We even stumbled upon one school that was held in a set of old train cars. (That was a contender for Wilson - let me tell you.) But, none seemed just right. Then, we went to Warner's Granite Bay Country Day School. The school's director, Miss Barbara, showed Wilson and I around the beautifully landscaped grounds - complete with a playground, flower garden, and even goats and horses. The classrooms, too, were perfectly warm and homey. But, what I was most impressed by were the compassionate, nurturing teachers. It was the kind of school I would want to go to if I was a preschooler. I knew I had found Wilson's school. But, he was still so little. Will and I began telling Wilson that he could go to the "Horse Preschool" when he was four years old. 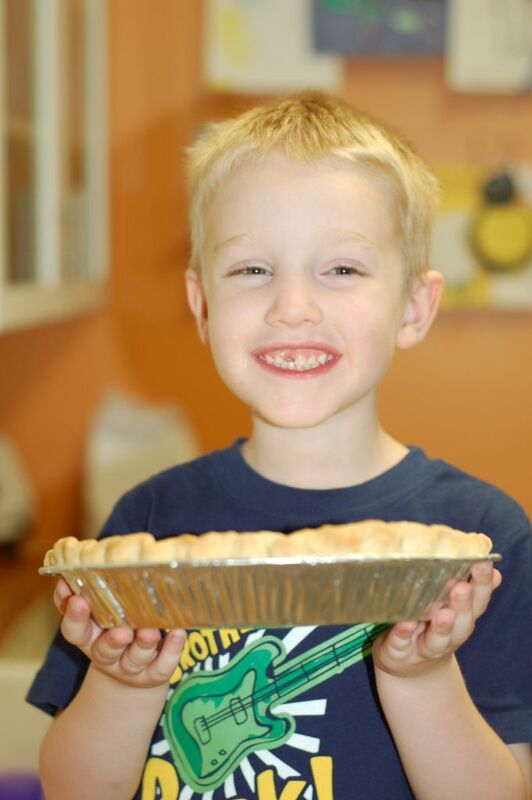 And, wouldn't you know it, the day after his fourth birthday, as I was tucking Wilson into nap, he said, "Now that I am four, you should call my preschool and see if they are ready for me." Darn, he had remembered. So, I called Miss Barbara to see if they still had an opening in the Tuesday/Thursday afternoon class. They did and I scheduled a meet and greet with Wilson's soon to be teacher, Miss Jamie. It was starting to feel real. Too real. But, Wilson couldn't wait. I have to admit, I was looking for any possible reason to back out of this whole preschool thing - Wilson's shyness...a young, overwhelmed teacher...even a classroom bully. Anything. But, I couldn't find a thing. In fact, I instantly liked Miss Jamie. She had such a warm and loving way of leading the kids. She happily let Wilson participate in a full day's class to see if it was a good fit. Initially, Wilson hung close to me, as expected. But, eventually, he ventured off to play with the other children, have snack and even work on writing his letters. It was all going so well, I called Will to stop by and meet Miss Jamie after work. So, it was decided. Wilson would begin preschool right after Christmas break. Although I tried to be strong and positive in front of him, I was petrified to let him out of my sight. 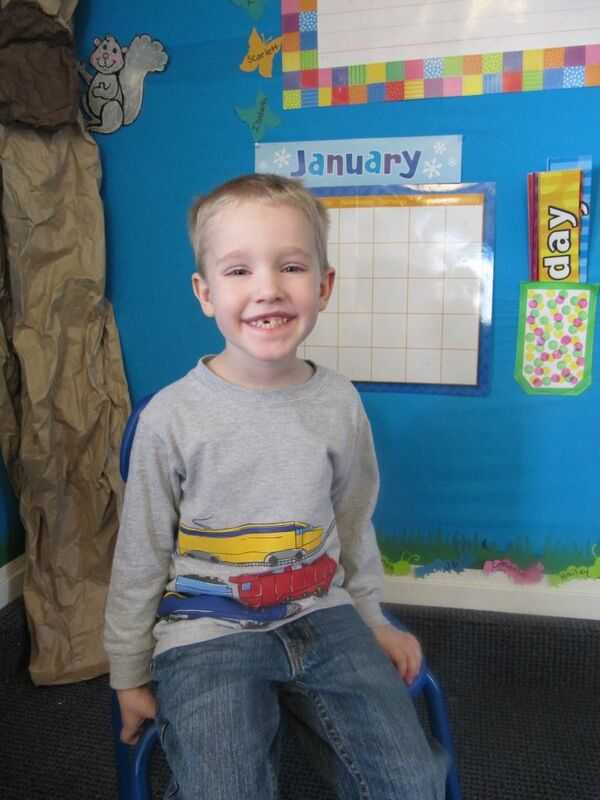 As I watched him settle in on his first day of preschool, I was both proud and melancholy. Seeing the independent big boy that he was becoming was bittersweet. I probably stayed only ten minutes or so before Wilson was ready for me to head out. Miss Jamie seemed to understand when I fought back tears as I kissed him goodbye, assuring me that she would call if he cried or in any way needed me. With her kindness, I didn't feel judged for being less ready for school than Wilson. Over the five months that Wilson has attended Warner's, I have grown to appreciate so many wonderful things about the school, and most importantly, Miss Jamie. In the way that only a preschool teacher can, she greets us every afternoon with a permanent, yet genuine smile, and affectionately refers to Wilson as "Love." I never feel rushed during drop off or pick up, as she always seems to have a little extra time for us. Knowing that Wilson's teacher is a mommy herself is hugely comforting. Her maternal nature has given me nothing but confidence in her ability to manage Wilson's "quirks." She is patient and understanding of his slowness to warm and always makes sure to tell me when he has a social breakthrough with his peers. When I dropped Wilson off with an inhaler this past spring because he insisted he absolutely could not miss preschool following an asthma attack, she didn't even blink an eye. And when all of the other children were having pink Valentine's Day milkshakes, she remembered his strawberry allergy and bought him vanilla ice cream and chocolate syrup so he wouldn't feel left out. But, most importantly, Wilson adores Miss Jamie. He says she is the best teacher in the whole world - and that is really something when your Daddy is a teacher! Wilson wakes up every morning eager to see Miss Jamie and his classmates, asking with hopeful anticipation, "Is it a preschool day?" 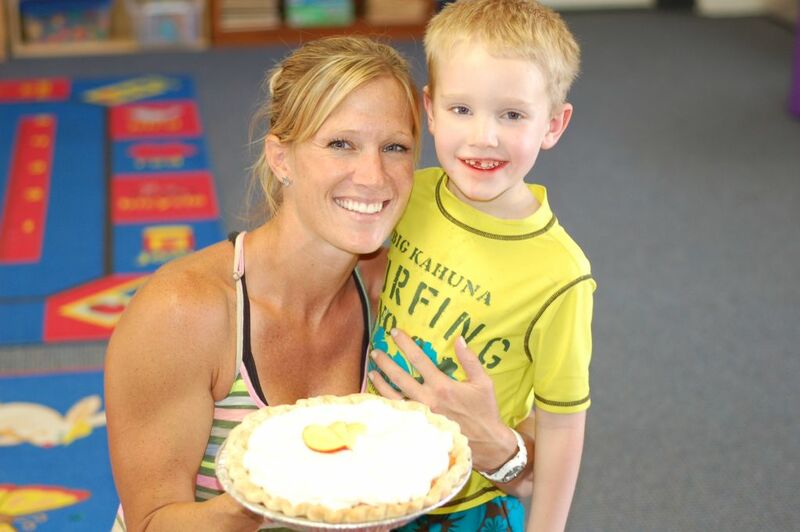 So, for making preschool a little less scary and a whole lot more sweet for both Wilson and I, how about a slice of Miss Jamie's Perfectly Preschool Peaches and Cream Pie? 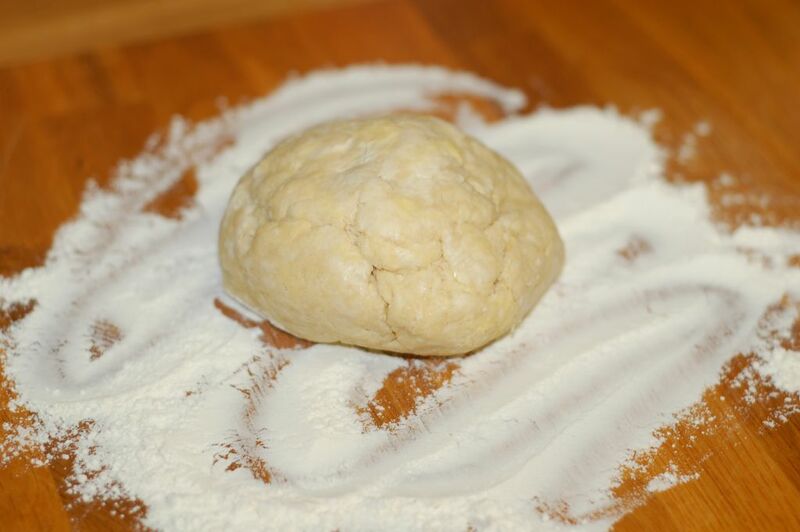 I began in the morning by prepping and chilling my pie dough, as usual. However, this time I came armed with a secret weapon - "fluffing." (Intimidating, I know.) 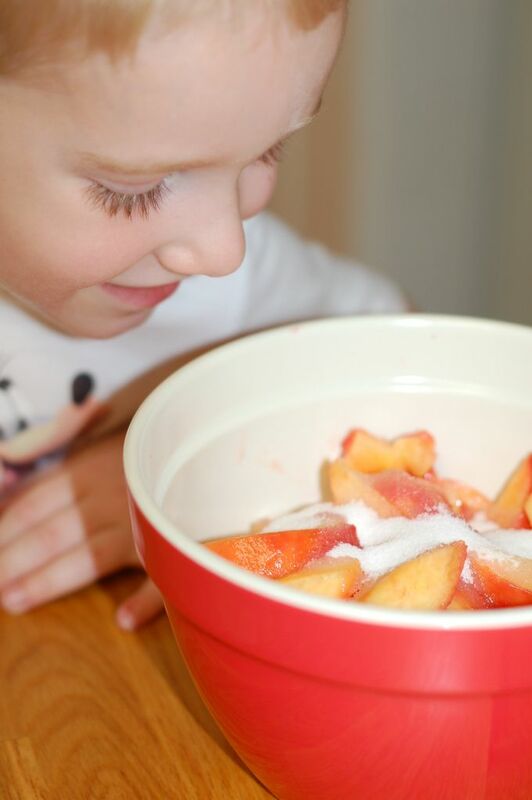 This technique has you add small amounts of ice water while simultaneously using your fingers to lift and sift, rather than squeeze, the dry ingredients. 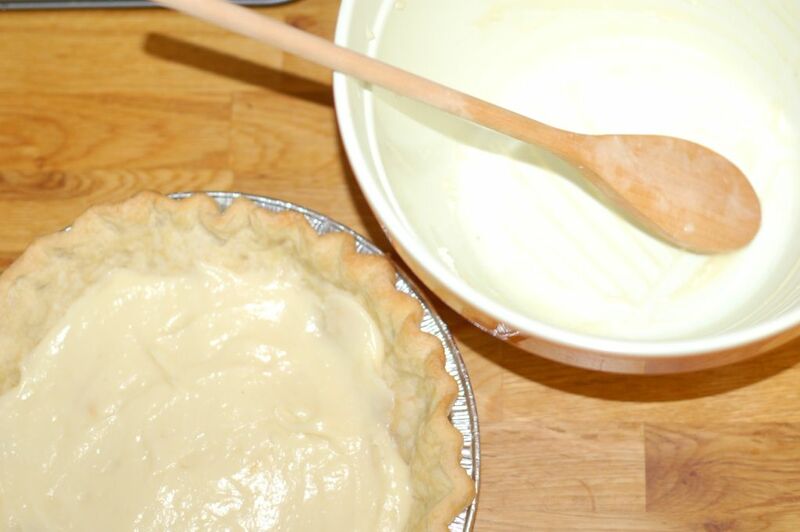 This one simple word has revolutionized the making of pie dough for me. 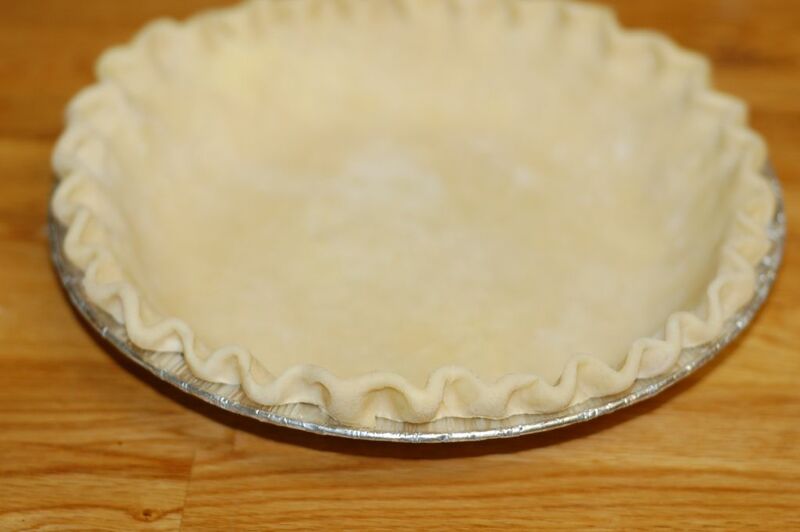 I rolled out the dough, settled it into the pie tin and crimped the edges before lining the crust with tin foil and weighing it down with dried beans. Halfway through the blind baking, I removed the weights and continued baking for another ten minutes until just golden. 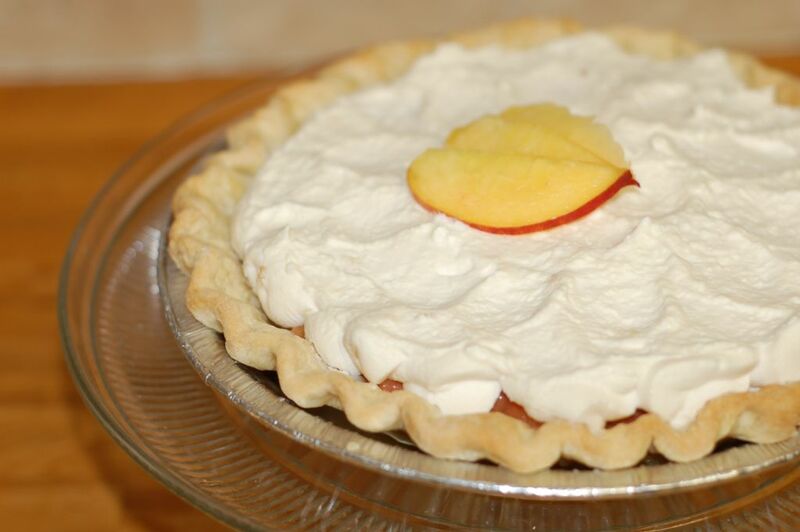 While the crust cooled, I prepared the "cream" a la "peaches and cream" - vanilla custard. 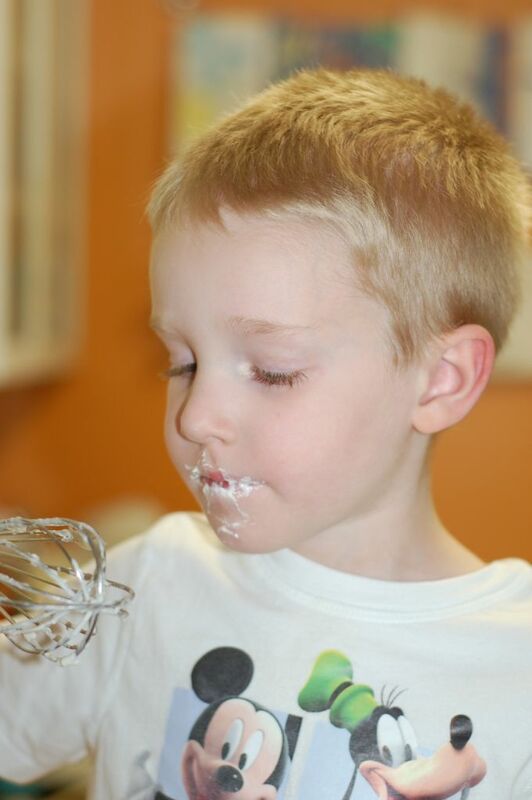 My favorite little sous chef, Wilson, whisked the sugar, cornstarch, milk and egg mixture until boiling - with a good amount of supervision, of course. Once thickened, I added vanilla extract and butter before straining it through a sieve. 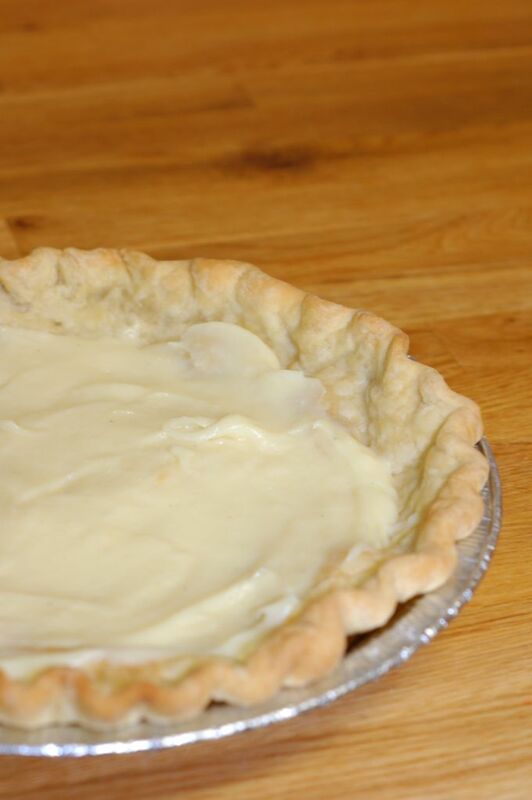 We then filled the pie shell with the custard and placed it into the fridge to cool. 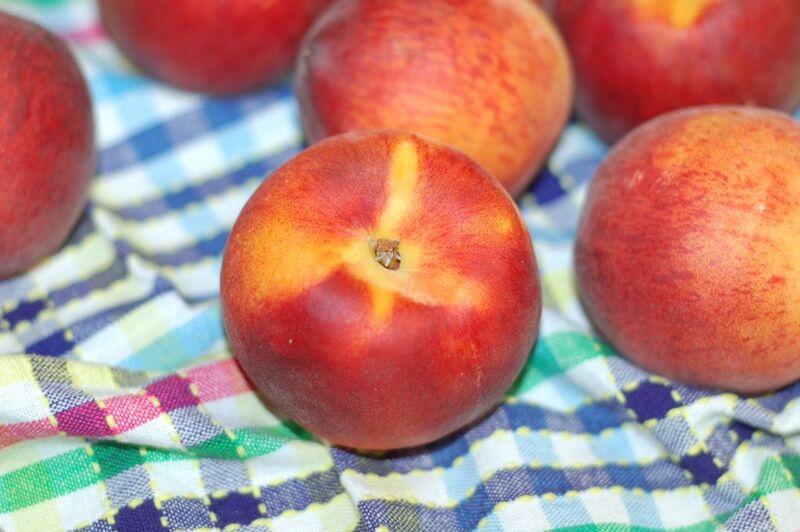 Then for the second layer of flavor - the peaches. 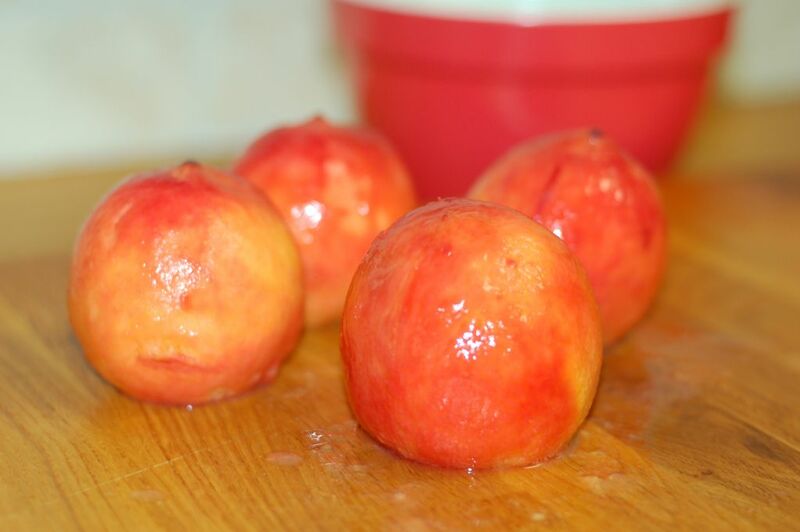 I blanched several peaches before transferring them to an ice bath in an attempt to remove the skin without mangling the fruit. 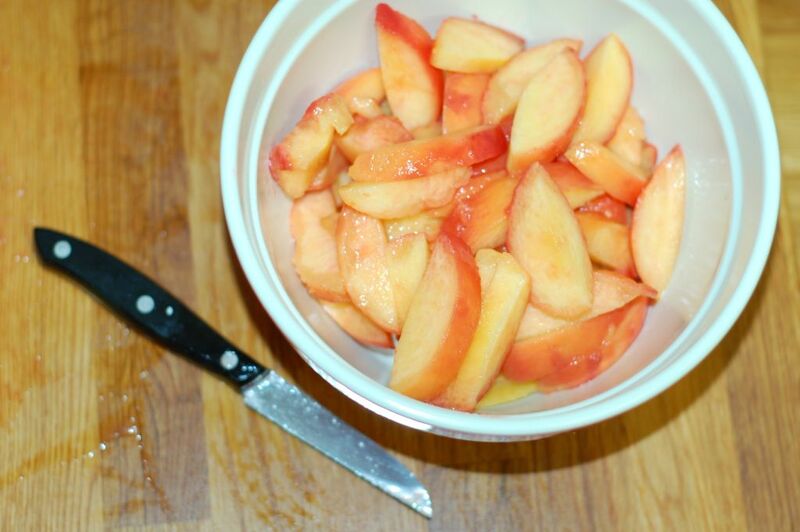 I sliced the peeled peaches into small wedges, tossed them with cinnamon and sugar, sautéed the fruit until tender and added a cornstarch slurry to thicken. 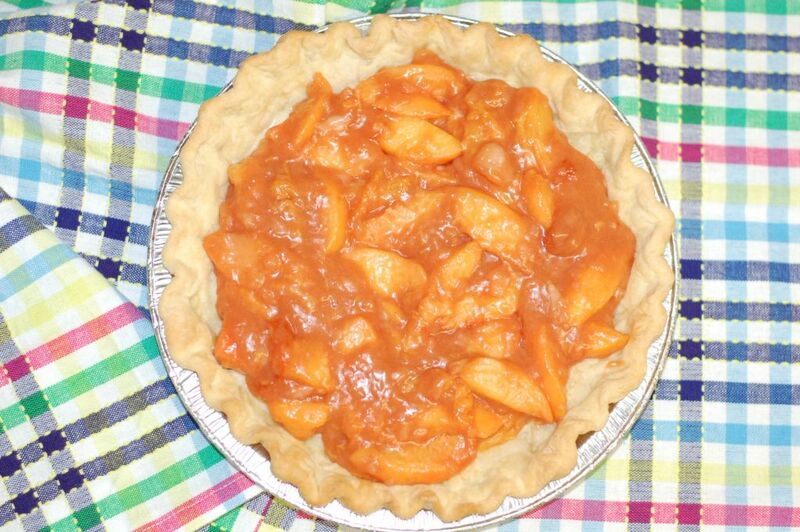 Once cooled, I topped the custard pie with a generous layer of peach filling. For the final layer, I prepared a homemade whipped cream (cream #2, in case you're counting). 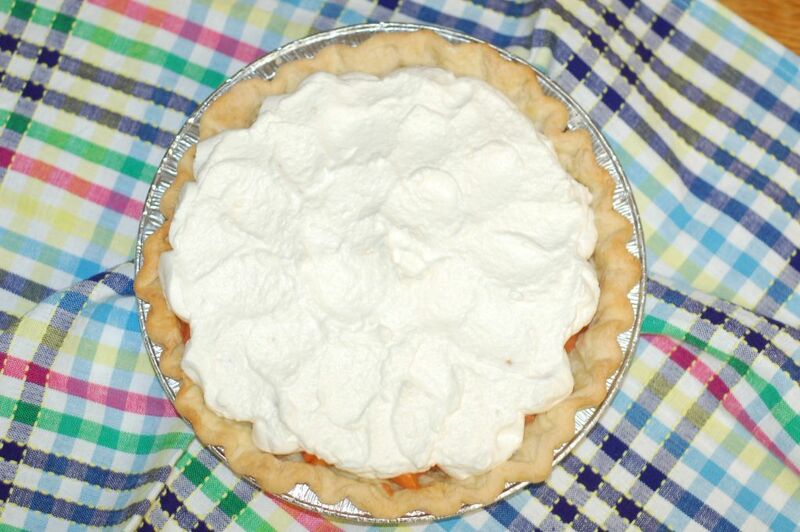 I whisked heavy cream, powdered sugar and vanilla extract into soft peaks and slathered a thick, fluffy white layer over the entire pie. Then, back into the fridge to set. As I tidied the kitchen, Wilson busily licked the whisk. 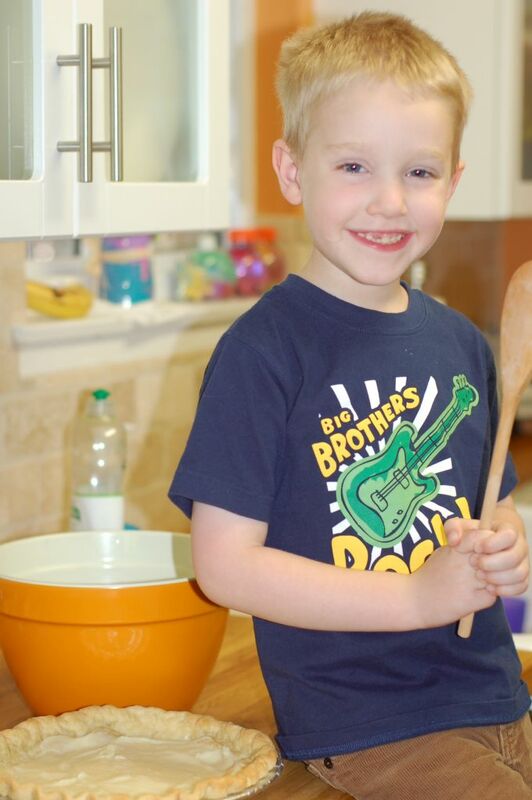 Then, with a huge smile, he turned to me and said, "This is my favorite part of baking with you, Mommy." A boy after my own heart. As a mother, sending my firstborn to preschool has been an emotional roller coaster. I've experienced everything from sadness at his readiness to chart new territory without me by his side to pride in his academic and social accomplishments. 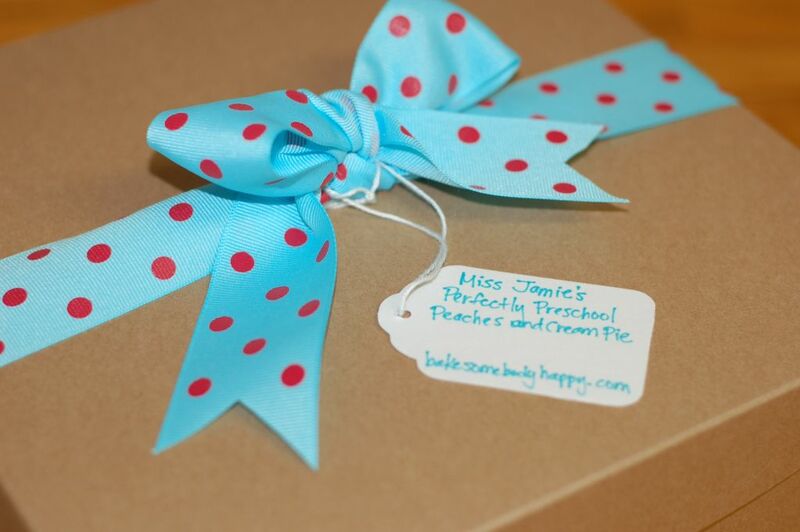 But, having a teacher as trustworthy, loving and compassionate as Miss Jamie has made the transition so much smoother. 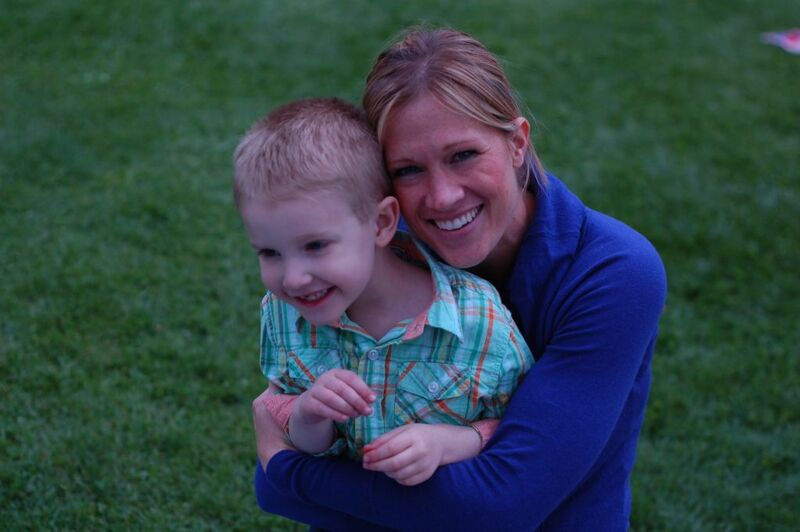 When I asked Wilson why Miss Jamie was special to him he said, "She loves me and she is the best teacher ever. Oh, and I really like the snacks she gives me." Well, finally, a snack just for Miss Jamie. Thank you for all you have done for us this year. We can't wait to see you next fall.